It takes a bit more than the standard supercharger kits to get a horsepower monster like the RDP Challenger SRT8.This Dodge is pushing out 1000 HP running a one-off custom twin supercharger system. Twin Harrop Supercharger on the 440 Hemi Dodge Challenger SRT8. Early in 2009 the RDP Challenger took the title of World’s Fastest Late Model Challenger by running 10.24 at 133 MPH. Later they bested that run and reached their goal of a single digit quarter mile with a 9.79 at 144 MPH. The RDP Challenger also had a record for most powerful late-modern Hemi. Since then RDP has released an updated version of the Challenger running twin turbos on a 426 SRT8 that is reportedly pushing out 1,300 RWHP. When you think Supercharger you usually associate it with big horsepower or performance engines. That may be the coolest and most fun aspect of a supercharged car but that’s not the only thing a supercharger is good for. With the obvious need to improve engine performance while lowering emissions the supercharger can go beyond our tuned horse power monster rides and make an impact outside of racing and street machines. To combat rising fuel costs and the environmental impact of combustion engines a large portion of new cars are being produced with downsized and smaller engines. This has motivated several companies to research ways to combat these low torque and low horse power vehicles. One company who is making progress is the UK based Lontra. Earlier this year Lontra working with Ricardo and Ford were awarded funding from the Technology Strategy Board to demonstrate their new supercharger system, The Blade Supercharger™. 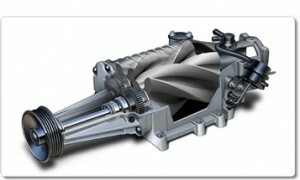 Lontra’s supercharger is an optimized and application specific version of Lontra’s The Blade Compressor™. This system is designed to meet the needs of heavily downsized gas and diesel power trains. As described by Lontra’s Business Development Director, Simon Hombersley, The Blade Supercharger is “A small, rotary double-acting positive displacement compressor.” The Blade allows for real time variation of flow and internal compression ratio without having to change rotational speed. This provides precise matching of boost requirements for an engine through its cycle. 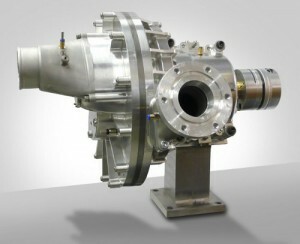 Lontra claims that with this design they can offer a supercharger with up to 20% efficiency gain over current systems. It is designed for high volumetric and thermal efficiency with high efficiency heat recovery. It works at a constant speed, is an oil free system and is small in size with low vibration and quiet operation. A demonstration vehicle with a Ford engine is expected to be shown next year some time. The bottom line with the Lontra design is improved performance through the entire power band without turbo lag or as in some superchargers where there’s a noticeable difference of power from low to high RPM’s. Although Lontra’s new supercharger is initially geared toward highly downsized engines it will be very exciting to see how the technology will be applied to big horse power and high performance vehicles. I am really looking forward to the first Lontra Supercharger Kits. To celebrate 20 years of business Vortech will be offering limited quantity special “Anniversary Edition” supercharger kits. The kits will be offered for the 2005 to 2008 4.6L Mustang GT with the added bonus of including the 5.0L 2011 Mustang GT. 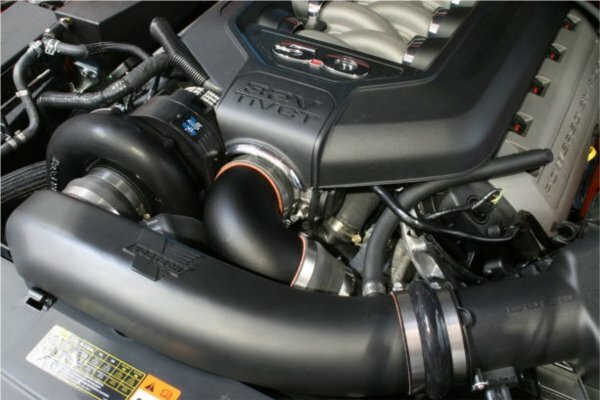 The supercharger systems include a numbered serial tag self-lubricated V-3 Si-Trim centrifugal supercharger with the ducting, charge air cooler, belts, fuel components and programming. The 78% adiabatic efficient supercharger, ducting and intercooler will be finished in black. Vortech plans a limited production of only 100 kits. Vortech expects to be sold out quickly. So if you’re interested best contact them right away to get these awesome limited edition Mustang Supercharger Kits. I have a 2000 Crown Victoria LX am I’m looking for a Supercharger set for it. Right now, I have not found anything and have no luck. If you have any information, please send it. The stock 4.6L V8 in the 2000 Crown Vic is a 2-valve SOHC (single overhead cam) which is the same as the 2000 Mercury Grand Marquis with 215 HP and 285 lb-ft. Crown Vics use the same 4.6L Ford Modular engine as many Ford products do. For example the Mustang. The 4.6L 2-valve SOHC were used in Mustangs from 1996 to 2004 and other cars using this engine were 1994 to 1997 Ford Thunderbirds and the 1994 to 1997 Mercury Cougar. So, if you can’t find a supercharger kit for the set up on your specific platform then you can look at the other cars for options. Luckily there are already Crown Vics with superchargers. A popular option for them seems to be the Eaton M112 roots blower. There is a company called Tork Tech Inc. who produces an Eaton M112 based supercharger kit for the 4.6L Crown Vic. They have their kit set up on several Crown Vic’s but it’s not a simple as pie bolt on. Some changes need to be made such as moving the battery to the trunk or drivers side as well as moving the coolant overflow tank and washer fluid tank. In the grand scheme of things these aren’t major problems to overcome so it’s a really good option to look at. The Tork Tech supercharger kit may be the easiest way to get it done but I can’t say if it’s the most cost effective. Rumor has it the price is a bit up there. As for other options I’ve also heard that Whipple may have something for the 4.6L so you could check with them. Finally, following is a video of a 2000 Crown Vic with a Vortech V-2 SQ S-Trim centrifugal supercharger which seems to be a custom install. If anyone else knows of some superchargers or kits that’ll work on this platform please leave a comment.